Harris began his career with Chelsea, playing alongside his brother Ron, and made his debut at just 17 years old. A full-back, he also represented England at Schoolboy and Youth levels. After making 70 appearances in four years at Stamford Bridge he was sold to Coventry City, spending two seasons there before moving back to Chelsea. During this second spell with the club he played in the 1967 FA Cup Final but was far from a first team regular. 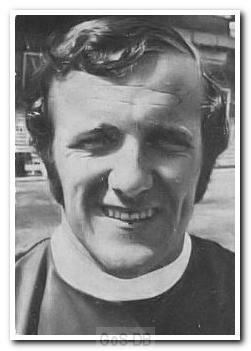 In 1967 he moved to Queens Park Rangers and helped the club gain promotion to the First Division in his first season. After joining Argyle on transfer deadline day in March 1971 he was the club's first choice right-back for the next 18 months. His professional career ended with a season at Cambridge United, after which he had a spell as player-manager of Hayes and also played for St Patricks Athletic in Dublin. After retiring he had a successful career in coaching and management, often working under his former QPR teammate, Terry Venables.